As a small business owner, you might wonder if online advertising will benefit your company while worrying about how much it might cost. 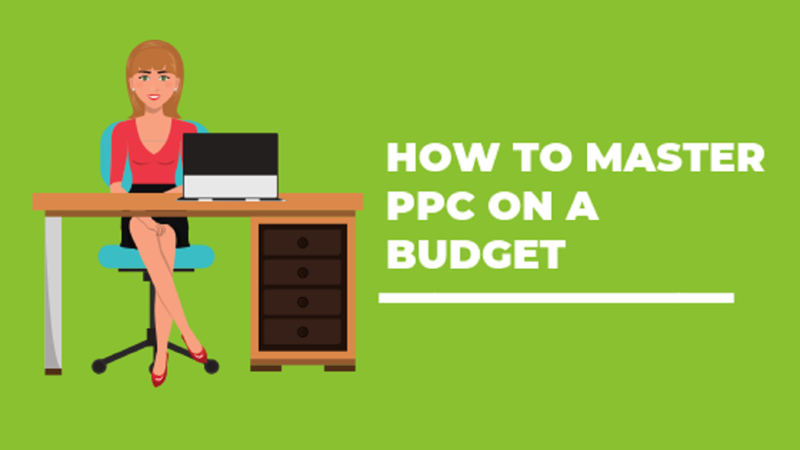 How can you master PPC on a budget, so you can take advantage of all the benefits of advertising on major platforms such as Google Ads and Facebook Ads? The answer is that it’s not as costly as you might think. Below you’ll find the answers to 3 of the most commonly asked questions small business owners like you ask when it comes to search advertising and advertising on social media. 1. How Do I Calculate My PPC Budget? For a small business, the prospect of spending on PPC may seem daunting, but the truth is that campaigns on Google Ads and Facebook are surprisingly affordable. On Google Ads, you only pay when the ad generates the desired action, such as a visit to your website. The platform offers a spending-cap feature and the ability to pause ads, which can help keep costs under control. You can also use the Google Ads Keyword Planner tool to calculate how much you’ll spend on each click, which is often as little as $1 or $2. The tool even shows you how much similar businesses are spending per month on the service, which can be a helpful benchmark. Much of the same goes for ads on Facebook. You tell the site exactly how much you want to spend on your campaign, meaning it too has a budget cap. As Facebook’s page on budgeting puts it, “If you want to spend $5 a week, you can.” That figure is on the low end but shows how affordable advertising on Facebook can be. Regardless of the platform, your PPC budget will be directly tied to your goals. For instance, let’s say your goal is to make $5,000 with a given campaign. If 2 out of 10 visitors to your website make a purchase that results in $500 in profit, then you will need to attract 50 visitors—that is, obtain 50 clicks—to hit that $5,000 mark. The planning features on each platform will give you an idea of what to spend to get the desired result. 2. How Do I Best Use My PPC Budget? To make the best of your small business PPC budget, consider what you want out of it when selecting and designing ads. For example, if your goal is to sell a specific item, then your campaign should show that item off. If your goal is to make your company more visible, then you might focus on more general display campaigns through search advertising. You should also take into account seasonality and timing. For instance, if your company sells winter gear, it likely makes more sense to ramp up your ad campaigns in fall and winter than in the spring and summer. If you run a restaurant, then consider running the bulk of your ads during times when your restaurant is open. 3. I Launched My Digital Advertising Campaign. Now What? Once you’ve set your budget and launched your campaign, your work isn’t finished. To continue fine tuning your marketing efforts, you’ll want to pay close attention to how much your digital advertising is paying off, so familiarize yourself with your chosen platform’s tracking features. If your results are falling short of expectations, you may need to adjust your marketing campaign, your budget, or both. You should also pay attention to statistics from your website; for instance, if your campaign is attracting lots of potential customers who abandon their purchases at the checkout phase, then your checkout portal may need work. Keep in mind that it will take some time to get the most out of your online advertising efforts. However, by setting well-thought-out goals and then adjusting as you go, you can get the results you’re after. Have questions? Need some help? Click here to schedule a free 10-minute consultation with a BizIQ PPC Consultant, or open up a chat with a real life digital marketing expert below.